« Circumcision as HIV prevention — Horrific! THE MONKEYS ARE INNOCENT!!! 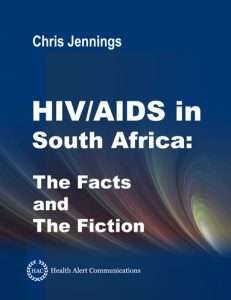 Chris Jennings describes how laboratory contamination started the theory that HIV came from African monkeys. It all started at the Harvard School of Public Health . . .
Read a more detailed description of these historical events at the blog post: How Laboratory Contamination Spawned the Theory that HIV came from African Monkeys (Video). The theory that HIV came from African monkeys was all started by laboratory contamination. The contamination occurred at the Harvard School of Public Health. Researchers had brought over blood samples from African Green monkeys and isolated from these blood samples what they called an “AIDS-like virus” [ref]. This discovery was widely accepted and soon, everyone believed that HIV came from Africa, and that HIV particularly came from African Green monkeys, or rather, the ancestors of HIV came from African Green monkeys. 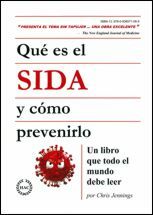 What happened is, in May 1985, researchers had isolated this virus from 4 sick Rhesus macaque monkeys [ref]. They had given samples to the researchers at the Harvard School of Public Health. When the researchers at the Harvard School of Public Health brought over blood samples from Africa, they became contaminated with this virus from Southborough, Massachusetts. And the discovery of the “AIDS-like virus” was actually the discovery of the contaminating virus that came from Southborough, Massachusetts. The February 18, 1988 issue of Nature journal had three articles that attested to these facts. First, it had an editorial describing the story I just told you [ref]. Second, it had the reports of the genetic comparison that proved that the “AIDS-like virus” found in the blood samples of African Green monkeys was actually the contaminating virus that came originally from Southborough, Massachusetts [ref]. 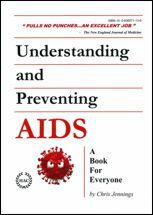 And, third, the lead authors of the discovery of the “AIDS-like virus” at the Harvard School of Public Health, Phyllis Kanki, wrote a letter acknowledging the contamination [ref]. Unfortunately, six months later in October 1988, these two researchers, Phyllis Kanki and Max Essex, wrote an article for Scientific American. The article was called “The Origins of the AIDS Virus,” and it featured a full-page color photograph of the African Green monkey [ref]. 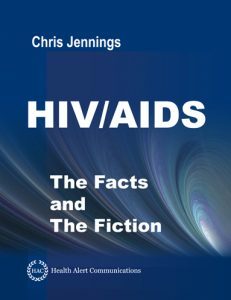 Although these events spawned and perpetuated the idea that HIV came from African Green monkeys, the current belief is that HIV came from chimpanzees. And that’s a story for another time. It is not so much bad science as; rather, whimsical science that was rapidly accepted because the theory that HIV came from Africa is very comforting for many people.